10 Tips for Organizing Your Inbox – Create. Read. Update. Delete. We’ve all been there. Suddenly, you find yourself signing into your email, staring at your inbox, and seeing the staggering amount of unread messages you’ve got. Whether this staggering amount is in the tens, hundreds, or thousands, something has to be done about this disorganized mess you find yourself in. It’s too much, it’s too many. Whether it’s your personal inbox you have to reorganise, or whether you have an ecommerce company with an inbox that’s filling up with a mix of client queries and requests from other companies that want to work alongside you, here are some great tips to help you get this part of your life a little more organized. We know this is easier said than done, but sometimes the best solution to a problem is solving it the painful, fast way. So when it comes to getting started with organizing your emails, you’re going to want to pick a specific date, then delete all the emails from that date and before it. There’s a reason they’ve been sitting there forever, and that reason is that they always will—so you might as well delete them. Another quick way to minimise the amount of emails sitting in your inbox is by unsubscribing to the many emails you receive every day. And because it can be quite a hassle to go through every email and click ‘Unsubscribe’ at the bottom, there’s an application out there that makes it way easier to unenroll: unroll.me. It makes it so you can instantly see a list of every email list you’re on, and unsubscribe easily from any of them. Sometimes, there are certain emails that you’ll want to directly filter the very moment they arrive. For example, if you receive a receipt for an online purchase, that can be sent directly to your receipts folder. The same goes for personal emails that are less urgent than ones related to your freelancing business. So create rules to filter your emails to get started. Boomerang is another useful tool for email organization. 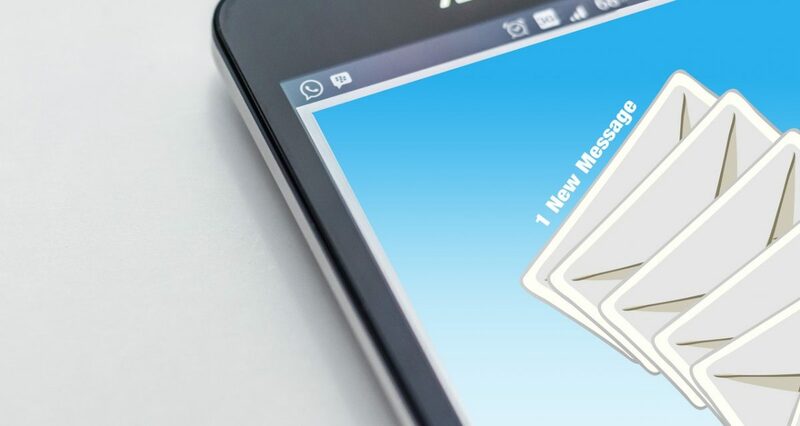 Ever receive an email that you know you have to reply to relatively soon—by the end of the day or by the end of the week—but you don’t have time to answer it right now? Well, instead of simply leaving it unread and hoping you’ll remember to answer it later, you can use Boomerang, which schedules both when you send and receive emails. This may sound like an obvious one, but it’s easy to forget to make this a priority after the first couple days of organising your inbox. But if you really want your inbox to stay organised in the long-term, then you have to learn to delete the right emails—and make a habit of it in the future. Check out some strategies here to get inspired. Then, of course, there are the emails that you can’t delete but that you can’t archive either. These are the emails that require a response, and the best thing for you to do is to reply to them as quickly as possible. It will be difficult at first, but the more you practice, the faster you’ll get—which will not only keep your inbox more organized, but everyone you communicate with will greatly appreciate it, too. In addition to spending some time deleting the emails you don’t want, it’s also a smart idea to set aside some time to organize your inbox. Decide which folders you want to create, how often you want to clear out your inbox, and what your requirements are for emails that must be deleted. One of the easiest ways of filling up your inbox is by emailing yourself. For example, if someone recommends a movie to you, you might email it to yourself to remember it later. A better idea? Create a document on your phone, whether it’s in Notes or on the Google Drive app, and jot down any notes there. Email should be used only for incoming and outgoing communications—that’s it. Especially if you’re running a business or blog, IFTTT—short for “If This Then That”—is one of the best email applications to have in your arsenal. This application makes it so that anytime you receive a certain kind of email, you’ll automatically send a reply. So, for example, if someone subscribes for a service, you’ll automatically send an email out to them without having to do any of the writing yourself. It’s a great tool that will save you a lot of time. Finally, a fun way to get organised with your emails is playing The Email Game, which makes deleting, boomeranging, and archiving emails decisions you have to make in a matter of seconds. The faster you go, the more points you get. You can even make the speed faster so that you get through more in one go. What tips do you have for organising your inbox? Which ones work best for you?